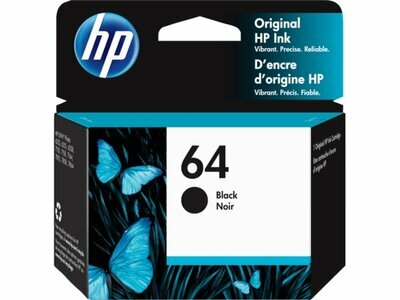 HP 64 ink cartridges offer outstanding quality for photos and documents. Print high-quality black text right at home and get unique shades with cartridges built for reliability. Designed hand-in-hand with HP printers, HP ink consistently delivers excellent prints that resist fading, dry fast, and last for years to come. Keep cartridges out of landfills by responsibly recycling your ink cartridges for free at any Office Depot or OfficeMax store near you. HP 64 ink cartridge works with: HP ENVY Photo 6252, 6255, 6258, 7155, 7158, 7164, 7855, 7858, 7864. HP ENVY 5542. HP 64 ink cartridges deliver authentic colors so all your prints will shine. Get top quality prints with cartridges designed and tested with high standards. Brilliant color performance with Active Ink Balancing—produce sharp documents for the life of your tri-color cartridge. From your favorite vacation photos to pictures of your children, make them shine with authentic colors and HP 64 ink cartridges. HP ink cartridges deliver exceptional print quality, time after time. Get sharp text and vibrant graphics for all your in-home office documents. HP 64 ink cartridges use rich black ink to boost the number of colors and shades in your prints to make your photos pop off the page. You can count on Original HP ink cartridges to consistently deliver exceptional results. Get top quality prints with cartridges designed and tested with high standards. Whether you’re printing reports, documents, or your favorite photos, HP 64 ink cartridges will deliver top quality printouts for a variety of projects. Brilliant performance for the life of your tri-color cartridge with Active Ink Balancing. Only Original HP ink cartridges work with your HP printer to produce sharp documents from start to finish. 1 HP Planet Partners availability varies. For details, see http://www.hp.com/recycle. 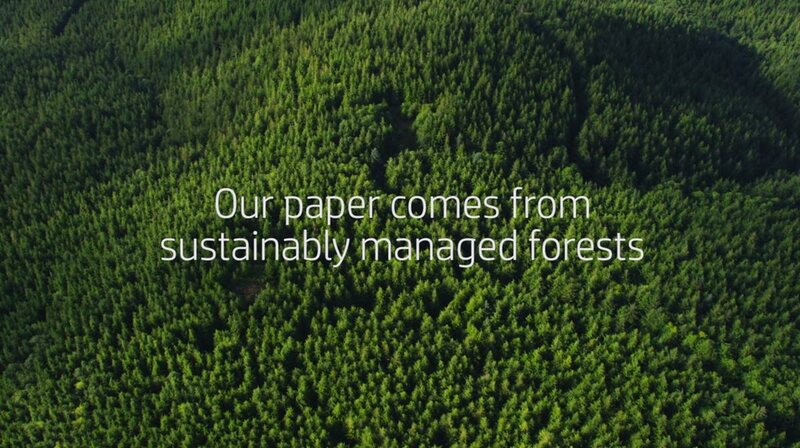 80% of Original HP ink cartridges contain between 45-70% recycled content. 3 Based on HP 64XL High Yield Black and Tri-color Original Ink Cartridges. High-yield ink cartridges not included; purchase separately. For more information, see http://www.hp.com/go/learnaboutsupplies. Less cost per page compared with manufacturer recommended street price and published page yield of standard-yield HP 64 Original Ink Cartridges. Actual pricing may vary. 4 Tested on HP Envy 7800 All-In-One Printer. Approximate average based on ISO/IEC 24711 or HP testing methodology and continuous printing. Actual yield varies considerably based on content of printed pages and other factors. For details see http://www.hp.com/go/learnaboutsupplies.